As part of my graduate studies at Bentley, I elected to do a Master's thesis on the experiences, motivations and frustrations of Drupal contributors. Over the course of 15 months, I focused a portion of my coursework on the academic study of contributors to the Drupal open source project. This resulted in a 96-page Master's thesis, mapping of Contributor life cycles, and data that was used by the Drupal Association to improve contributor experience on Drupal.org. As a long-time member of the Drupal community, I had observed that a large percentage of Drupal contribution happened not just online, but face to face at sprints coordinated at Drupal events. As much of the open source literature focuses solely on code releases or online forums as its data, I felt that an ethnographic approach, triangulated with surveys, interviews and literature review, would expand upon the current literature. Observing and participating in contribution sprints was a key aspect of my research approach. 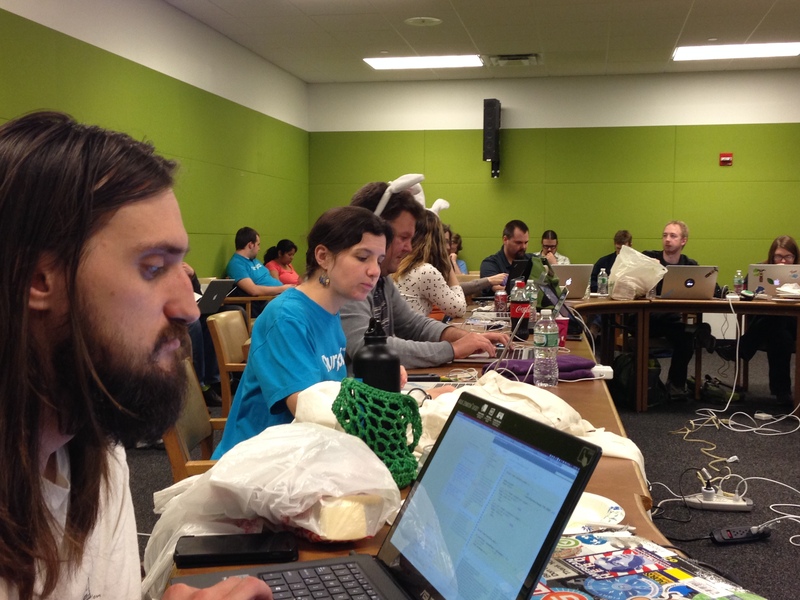 Here is an example sprint at NYCCamp in 2014. Primary data collection happened over the course of 2014, mostly at Drupal events around the world (DrupalCamp NYC, Drupalcon Austin and Drupalcon Amsterdam being a few). 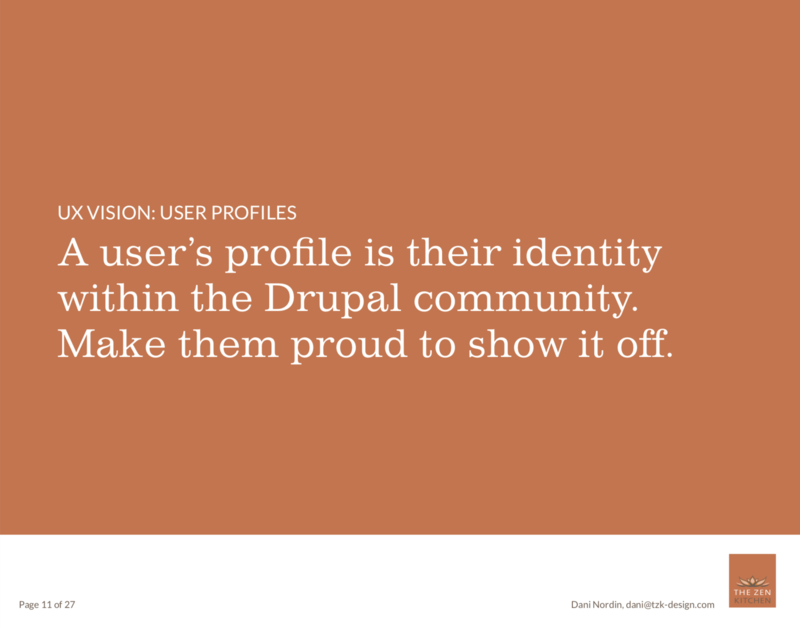 In addition to participating in sprints directly, I worked with the Community Tools team to redesign the Drupal.org user profile as part of my volunteer work. I shared my initial findings in Core Conversations at Drupalcon in North America and Europe, and broadcast my thesis defense for the community. 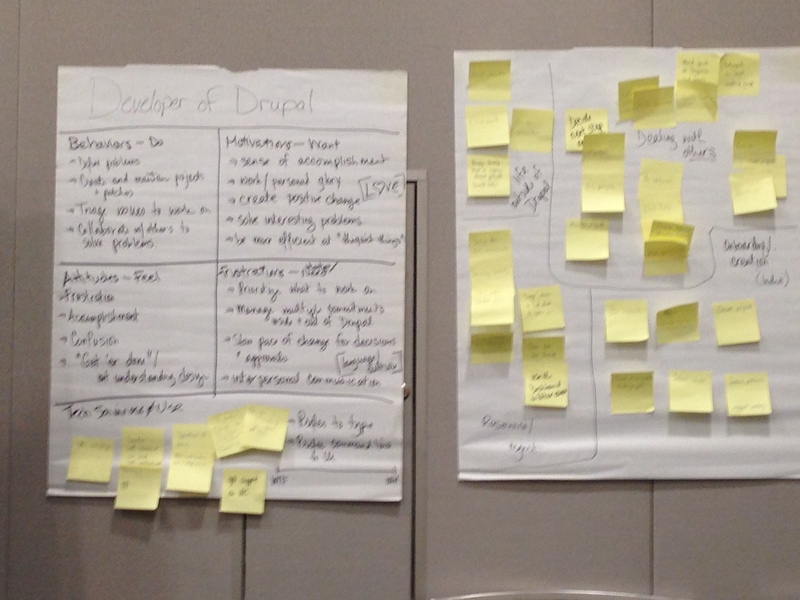 At Drupalcon Austin, I participated in a Community workshop with Whitney Hess, to learn more about the different types of Drupal community members. Outside of the direct thesis work, I also took opportunities to incorporate thesis research into my regular graduate coursework. For a course on UX leadership, I created an experience vision for key aspects of Drupal.org. For a Research Methods project, I created the pilot survey for my thesis research. Finally, as part of a Global Business Experience in France, I conducted an interview study with French Drupal contributors to learn how French language and culture impacted contribution to Drupal. As part of my leadership course at Bentley, I created a UX Vision for my work with the Drupal Community Tools team. The final thesis was donated to the Drupal Association, along with a series of contributor experience maps I created to support the thesis work. They used this information to inform the drupal.org redesign the following year. 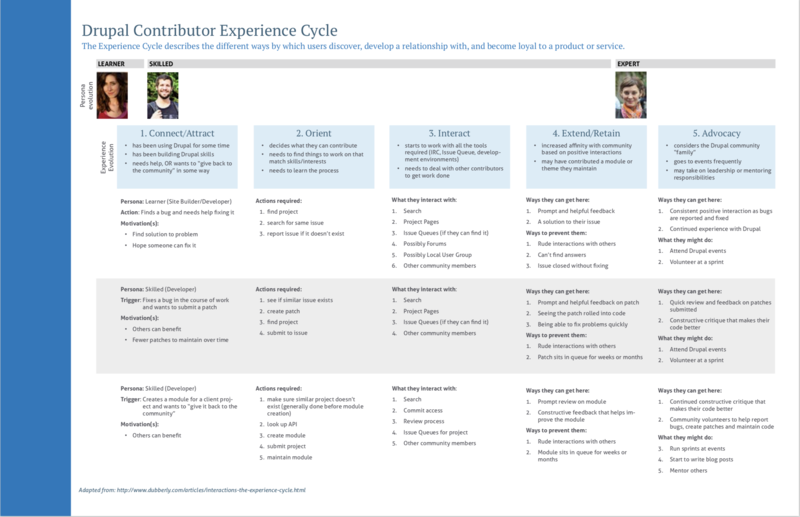 ‍As part of my thesis research, I created an Experience Cycle for Drupal contributors, aligned to the Drupal Association's key personas. 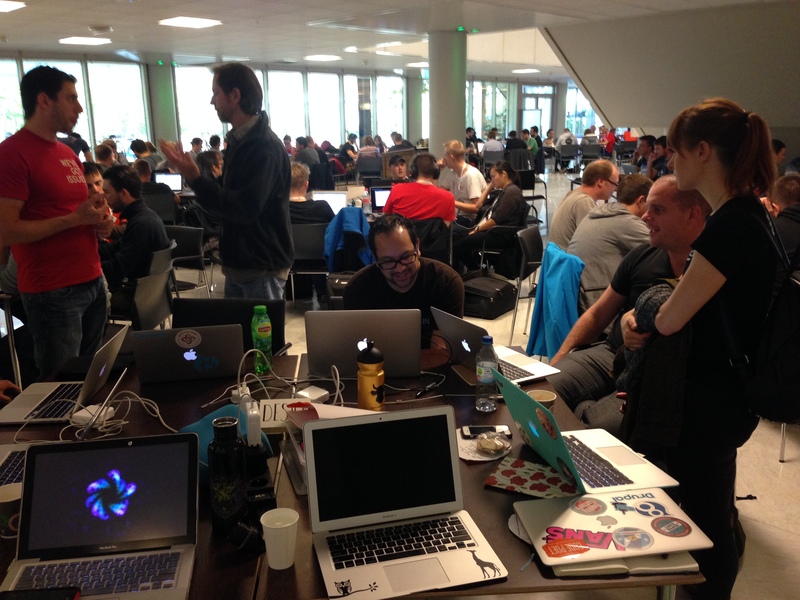 Performed participatory ethnography at almost a dozen Drupal contributions sprints.